One of the chief values of this centennial collection of Kenneth Patchen’s work is the introduction provided by editor Jonathan Clark. While Patchen is a maverick hero to many for his engaged stance and experimental fiction, poetry, and combined arts, he yet remains an enigma to real critical response. 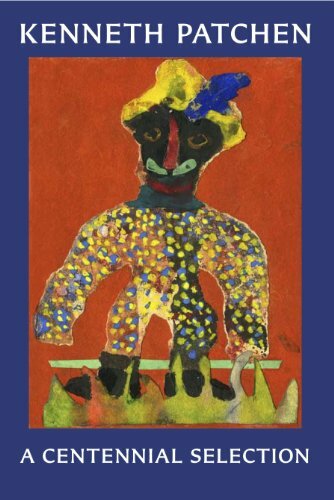 In recent years we have seen the reissue of his fables and poems in We Meet and his picture-poems in The Walking-Away World (both from New Directions), and in Awash with Roses: Collected Love Poems (Bottom Dog Press). Patchen’s praise and response came chiefly from fellow writers Henry Miller, Jonathan Williams, Kenneth Rexroth, Lawrence Ferlinghetti, and William Carlos Williams. They understood his intention and his engaged stance, for Patchen sought no less than changing the world through his art. As is clear from those editors and publishers who worked with Patchen, he was intensely deliberate about how his writing should appear, and kept a sharp eye on their critical response. Yet perhaps this more honest approach will help open critical doors into a fuller appreciation of the author’s work. The poems and art selected here are “a personal selection by Clark and represent well the wide range of the author.” Included are poems and drawings, concrete poems, Dadaist collage, and beautiful full color prints of his art and picture-poems. The poems themselves appear in no particular order and without documentation as to the book titles they are drawn from. Kenneth Patchen: A Centennial Selection is more a serving of fine work without explanation moving from darker to lighter tones. Some are familiar like “Let Us Have Madness Openly” and “O Fiery River,” “As I Opened the Window,” and “Lonesome Boy Blues,” and some less well known, like “Vinegar and Perfume,” “But of Life,” and “The Great Birds.” Clearly one of the best is a poem that Patchen’s wife Miriam used to read at talks and presentations after Kenneth’s death in 1972. “What Is the Beautiful” contains the essence of the man and his work. This selection of Patchen’s best by one of his intimates is clearly a gift and tribute to the man and his work, as is the late 2011 exhibit of his art, “Beyond Words: Kenneth Patchen's Vibrant Designs Fuse Poetry and Image” at Rochester University. Kenneth Patchen may be experiencing a real revival in his 100th year. He clearly still has much to say to us.